So the question is how to make it right in ArcGIS. Part count will not yield the correct answer. 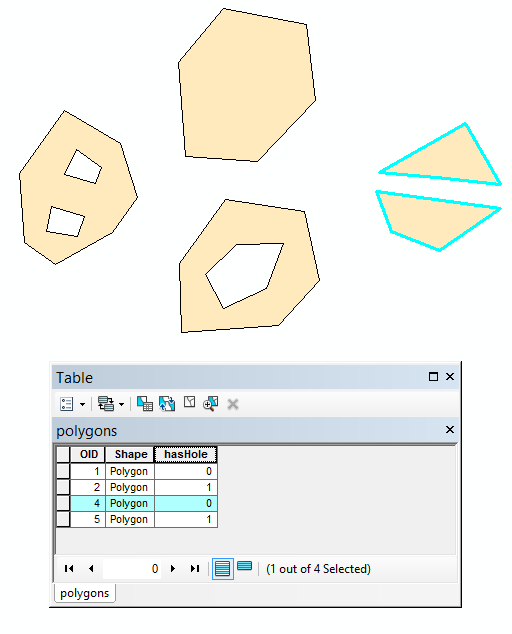 You could have a multi-part polygon with no holes. See image below for scenario. Are you referring to the difference between the two expressions? If yes, it looks like the bottom one is using Python as the parser where as the one on top is using VB. To change this in the Field Calculator window in ArcGIS, just select VB instead of Python and the top expression should work. Not the answer you're looking for? Browse other questions tagged arcgis-desktop field-calculator donut-polygons or ask your own question. 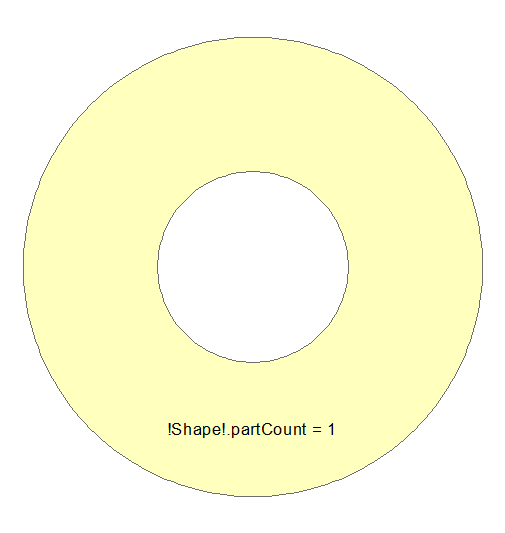 ArcPy getPartCount always returns 1 on multipart polygons? Why doesn't the Field Calculator work in ArcGis 10? Field Calculator not working in ArcGIS Desktop? Using Function in Field Calculator gives error 000539? Using File Geodatabase with Null values in Field Calculator of ArcGIS Desktop 10.0? 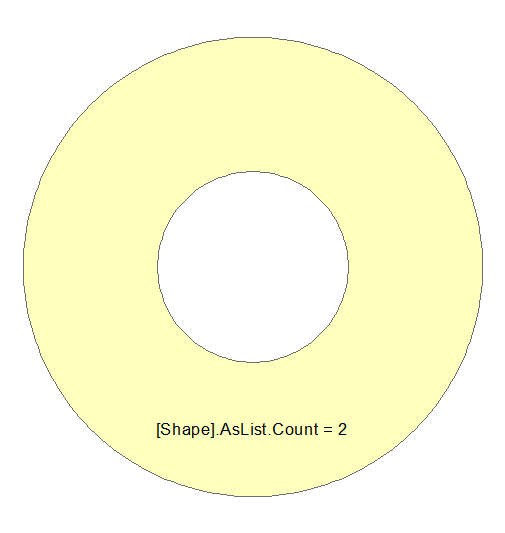 Populating string field based on numeric value from numeric field in ArcGIS Field Calculator? Script (ArcPy) vs field calculator (Python Parser) behaviour of getPart in ArcGIS for Desktop?